Professional Science Master's degree and Graduate Certificate programs in Data Science and Business Analytics (DSBA) are interdisciplinary in approach, at the intersection of business, computer and information sciences, statistics, and operations research. It is a unique blend of business acumen, data understanding, exposure to a diverse set of advanced analytics methods, and hands-on experience designed to help students apply technical and entrepreneurial knowledge to real-world business problems. DSBA graduates are equipped for employment in a broad array of data-intensive industries, such as financial services, energy, retail/supply chain, and healthcare. A professional science master's (PSM) is a practitioner’s degree, designed to allow students to pursue cutting-edge research with world-class faculty in STEM disciplines, while also developing practical business skills highly valued by employers. Interdisciplinary in its approach, PSM's infuse soft skills into the required coursework to produce well-rounded graduates. Nationally, PSMs are distinguished from traditional degrees by their active advisory boards and a practicum or internship requirement to connect students with industry leaders. Students enrolled in UNC Charlotte’s Data Science and Business Analytics PSM learn from both academic leaders and business practitioners and gain the entrepreneurial skills necessary to advance in this rapidly growing and evolving career field. 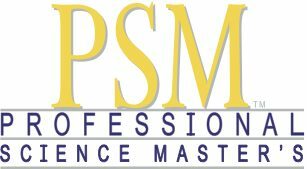 For more information on Professional Science Master's, please visit sciencemasters.com. The DSI is proposed as an industry-university-state partnership to broaden and deepen North Carolina's business analytics talent and stimulate strategic innovation. It supports high-end job creation and business investment in the Charlotte region and across the state. The lead partners in the DSI, the College of Computing and Informatics, Belk College of Business, and the College of Health and Human Services, have long and successful histories of fostering strategic relationships with the business community. Most recently the College of Liberal Arts and Sciences joined the Data Science Initiative as a full partner. This growing team provides intellectual capital, academic programs, and outreach activities to meet the needs of employers in the new data-driven economy, both in developing a highly trained workforce and in providing cutting-edge research to address challenges and opportunities in the rapidly changing business environment. UNC Charlotte is North Carolina's urban research institution. UNC Charlotte is North Carolina's urban research institution. Our campus is located in the Piedmont of North Carolina, just two hours from the mountains and three hours from the Atlantic Ocean. A large public university with a small college feel, just under 30,000 students considers UNC Charlotte’s 1,000-acre campus their home away from home. UNC Charlotte is the largest institution of higher education in the Charlotte region offering 23 doctoral programs, 64 master’s degree programs, and 78 programs leading to bachelor’s degrees. Fall 2018 enrollment in graduate programs alone exceeded 5,400 students.